What is it? A social media app that allows users to post anonymously; others “endorse” the posts to make them “hot.” Yik Yak communities primarily are around college campuses; the users are primarily students. How does it work? People post observations; you can find “nearby” Yik Yaks. There are two options to view; one lets you see the newest posts; the other is to see the “hot” posts — those posted endorsed (liked) by others. The search button lets you see featured topics, and “peeks,” which are other communities (again, mostly colleges). You may include a username to Yik Yaks. That might be a good idea if you’re trolling for info as a reporter. — For journalists on a breaking story, this can work as a reporting tool. 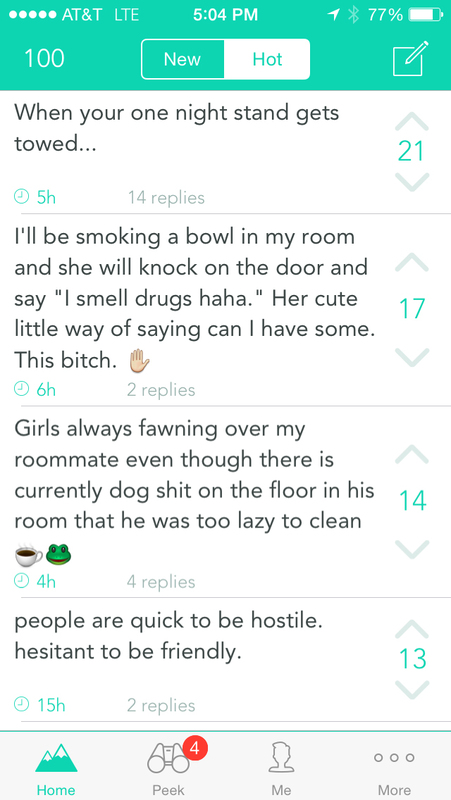 However, there are pitfalls in quoting Yik Yak posts, since no one is accountable to them. It should be used to gather, but not confirm, information. — There is fallout to Yik Yak, because some posters can share threats and other nasty things. Some colleges are considering banning Yik Yak. We used it to gather intel on campus during a campus shooting; to discern what was happening and hone our questioning of officials. Further, the Yik Yaks were mourning the victim (a professor) by name before officials could confirm the identity. It helped us make a call on when to release a name. It was also used after a racially charged party on the Clemson campus; the comments helped confirm some of the circumstances of the party.